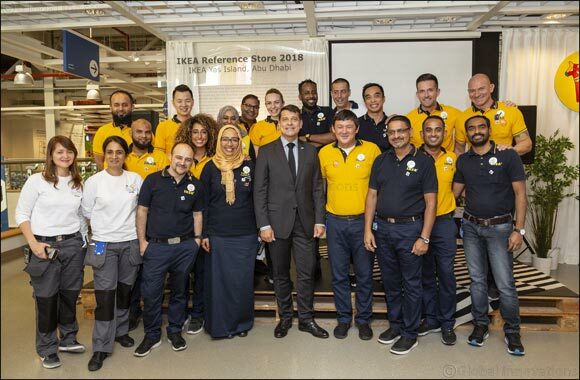 United Arab Emirates, 13 May 2018: On Thursday, 10th of May, as part of global initiative to enhance customer experience and see further commercial success through its stores, IKEA Yas Island, based in Abu Dhabi, has been awarded the brand’s first ever ‘reference store’ in the world, in attendance of the Ambassador of Sweden, Henrik Landerholm. IKEA Yas Island opened its doors in 2011 as one of two stores in the UAE. The accolade was given to IKEA Yas Island store as it successfully implemented the brand’s global concepts ensuring local relevance within its market, meanwhile empowering its co-workers and inspiring other retailers. The global ambition for Inter IKEA Systems B.V. is to have 12–14 reference stores by 2020. In addition, IKEA Yas would like to thank their customers for achieving this honour by inviting them to inspiring in-store workshops for home inspiration. Shoppers can also enjoy up to 50% off on selected products when they shop at IKEA Yas until May 26th 2018.